The Curator’s Circle is a newly created group of Brookgreen members interested in Brookgreen’s special connections with sculptors, galleries, and collectors of American art. Circle members are invited to special programs, events, and travel with Brookgreen’s curator, Robin Salmon. 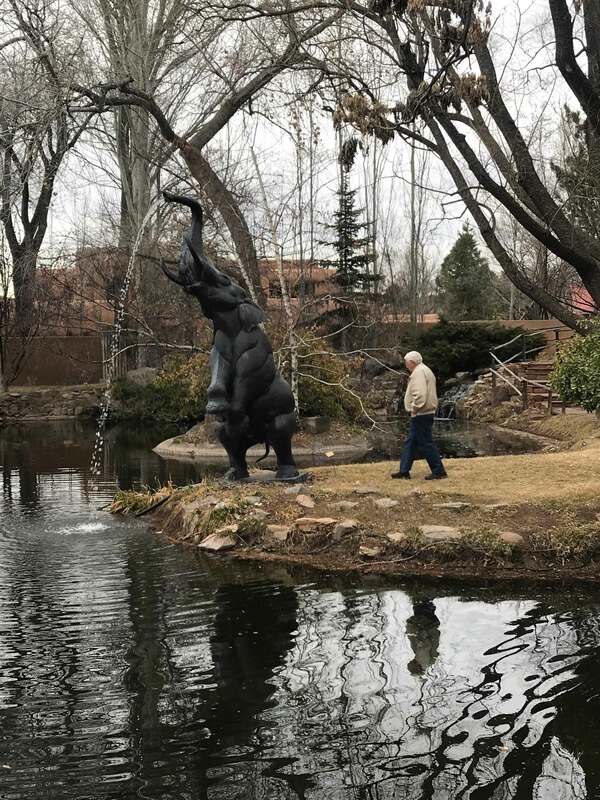 Our first trip to Albuquerque and Santa Fe in March was a rich and unique experience for our 12 travelers. The trip began in Albuquerque with a tour of the traveling exhibit of the Hispanic Society’s collection at the Albuquerque Museum. The Hispanic Society building in New York is under renovation, allowing many of its treasures to travel first to the Prado in Madrid, Mexico City, and then on to Albuquerque. The Museum’s Director, Andrew Connors, provided a private tour on the works such as Celtic metalwork, Moorish lusterware and illuminated manuscripts, early paintings, alabaster and polychromed wood sculpture, textiles, paintings from the golden age of Spain by Goya and Velazquez, and early 20th century paintings by Sorolla and other masters. He also included interesting commentary on Archer Huntington and his knowledge and affinity for Hispanic culture. After a tasty lunch at the Museum, the group departed for Santa Fe in a convoy of two new Chevy Suburbans. Nothing could be more different than the Lowcountry’s rich green marshes and the arid high desert. Santa Fe is nearly 7,000 feet high and the Spring brings high winds to activate the tumbleweeds rolling by. We even enjoyed a dusting of snow one night to contrast with the monochromatic landscape. Santa Fe is the third largest art market in America after New York and LA. It is estimated that approximately ten percent of the population of the city is professionally engaged in the arts. There are about 250 art galleries, plus many, many artists' studios, including sculptors in Brookgreen’s collection. Our first stop was to the home of a private collector whose sculpture collection is focused on National Academicians. Their painting collection was also a rich combination of American and European figurative work. Their spectacular home had views of the high desert and one of my favorite pieces, Glenna Goodacre’s “Sacajawea”, looked especially at home outside against the adobe backdrop. Other works included sculpture by Alexander Phimister Proctor, Kenneth Bunn, Wheeler Williams, Albert Wein, and paintings by Henriette Wyeth, Thomas Moran, Albert Bierstadt, and many prominent artists. Our hosts, who had recently visited Brookgreen, told us about the terrific tour they had with a knowledgeable Brookgreen docent! Our hosts recommended one of their favorite restaurants and we continued our culinary adventure throughout the trip with local tastes of red and green chilis, enchiladas, poblanos, and more. 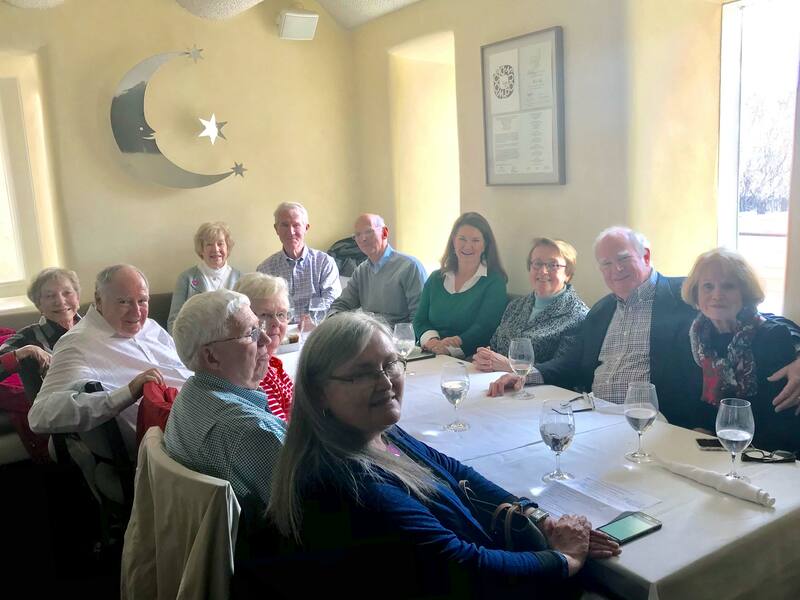 Santa Fe has many outstanding restaurants and we did our best to sample as many as we could along with wine expertly selected by our Brookgreen oenophiles. The next day began with a tour of the Georgia O’Keeffe Museum. 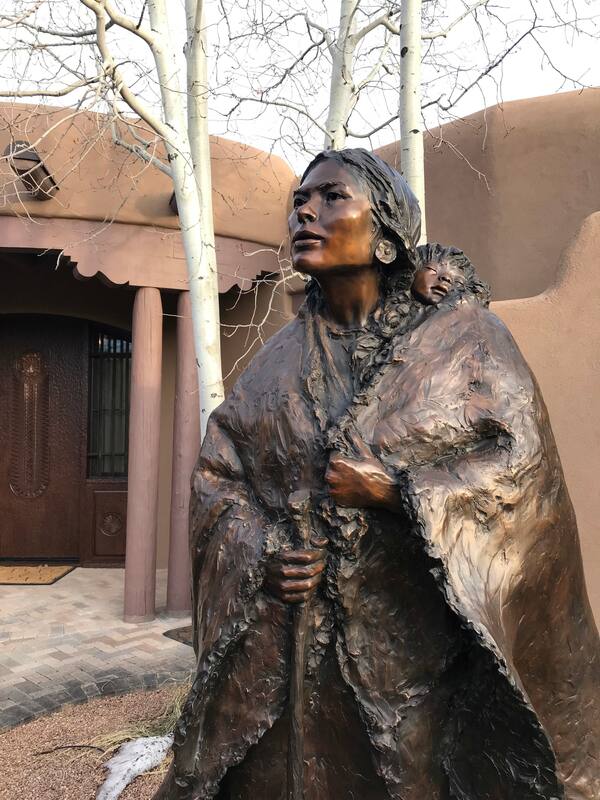 Her work is inextricably connected to the region and we enjoyed learning more about her life in Santa Fe and her prolific career. 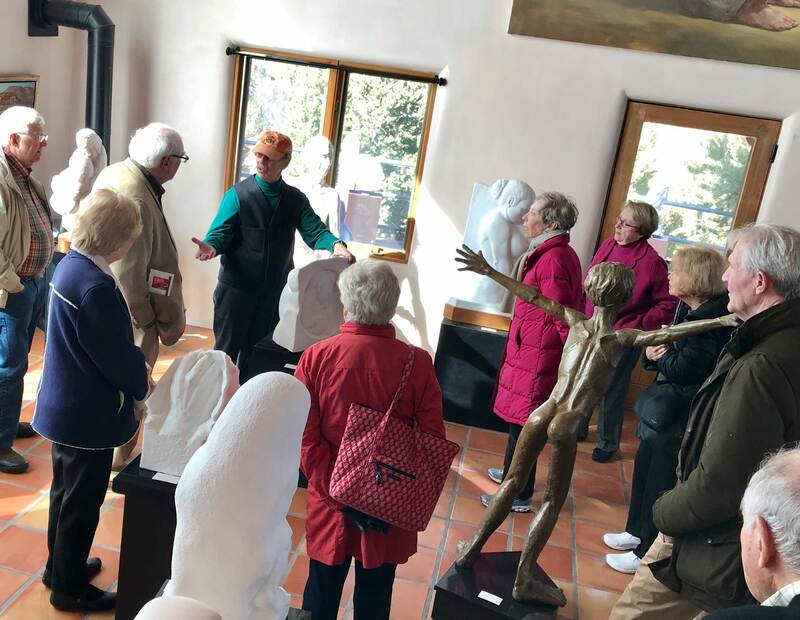 From there, we had a guided tour of the Nedra Matteucci Gallery, representing many of the artists in our collection as well as important historic painters of Taos and Santa Fe. The gallery is in an historic building and includes a guest suite where many famous clients have stayed during acquisition trips (including Spanish royalty and Hollywood royalty like Cher). The sculpture garden included a stunning array of work by artists represented at Brookgreen including Dan Ostermiller, George Lundeen, Herb Mignery, Jane DeDecker, and Michael Naranjo (wounded and blinded while serving in Vietnam, he learned sculpture as therapy and his art focuses on themes from his Native American heritage). Our group also explored Canyon Road on their own and brought back more than memories from the shops! On our last day, we toured two studios and homes of artist friends. The first was Rosie Sandifer where we could see works of other artists she collected as well as her studio of sculpture and painting. When we entered the studio, amongst the western art paintings in progress were several plein air sketches from her last visit as an artist in residence at Brookgreen. We finished our day with Ken Smith who demonstrated his stone carving techniques and toured us through many of the works he has in progress. A former surgeon, he talked about his training and unique understanding of anatomy. Many thanks to our inaugural group for their patience (a few missed turns by their drivers), intellectual curiosity, and enthusiasm as Brookgreen ambassadors.